The Drake Passage is an oceanic gateway of about 850 km width located between South America and the Antarctic Peninsula that connects the southeastern Pacific Ocean with the southwestern Atlantic Ocean. It is an important gateway for mantle flow, oceanographic water masses, and migrations of biota. This sector developed within the framework of the geodynamic evolution of the Scotia Arc, including continental fragmentation processes and oceanic crust creation, since the oblique divergence of the South American plate to the north and the Antarctic plate to the south started in the Eocene. As a consequence of its complex tectonic evolution and subsequent submarine processes, as sedimentary infill and erosion mainly controlled by bottom currents and active tectonics, this region shows a varied physiography. We present a detailed map of the bathymetry and geological setting of the Drake Passage that is mainly founded on a new compilation of precise multibeam bathymetric data obtained on 120 cruises between 1992 and 2015, resulting in a new Digital Bathymetric Model with 200 × 200 m cell spacing. The map covers an area of 1,465,000 km2 between parallels 52°S and 63°S and meridians 70°W and 50°W at scale 1:1,600,000 allowing the identification of the main seafloor features. In addition, the map includes useful geological information related to magnetism, seismicity and tectonics. 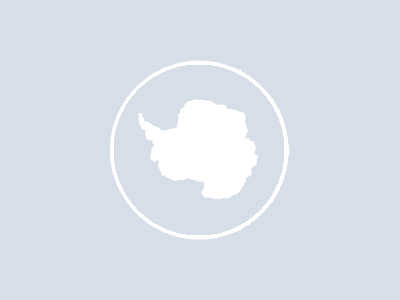 This work constitutes an international cooperative effort and is part of the International Bathymetric Chart of the Southern Ocean project, under the Scientific Committee on Antarctic Research umbrella. Authors: Bohoyo, Fernando, Larter, Robert, Galindo-Zaldívar, Jesús, Leat, Philip, Maldonado, Andrés, Tate, Alexander, Flexas, Mar, Gowland, Elanor, Arndt, Jan, Dorschel, Boris, Yeadong, Kim, Jongkuk, Hong, López-Martinez, J., Maestro, Adolfo, Bermúdez, Óscar, Nitsche, Frank O., Livermore, Roy A., Riley, Teal R.